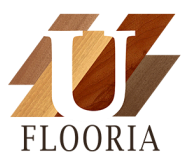 It’s our commitment at UFLOORIA to assist our customers in finding the right flooring that fits their lifestyle needs. We are a family owned and operated business, servicing the Sarasota County for over 30 years. Whether it’s an inexpensive carpet or a high end designer style, our network enables us to satisfy any customer’s needs. We don’t just sell flooring, we sell piece of mind that the floors you put in today will be the floors you'll love for years to come.